The second release on Hookah Records welcomes Kastis Torrau back to the label for his debut single. Every year a new label seems to emerge which gets it right from the outset, Hookah Records no doubt seems to be in that category. The label’s first offering, a single from Sound Avenue’s Madloch was remixed by Kastis and label boss Hot Tuneik. The release enjoyed a nearly month long stay in Beatport’s Progressive House charts and set a strong precedent moving forward. 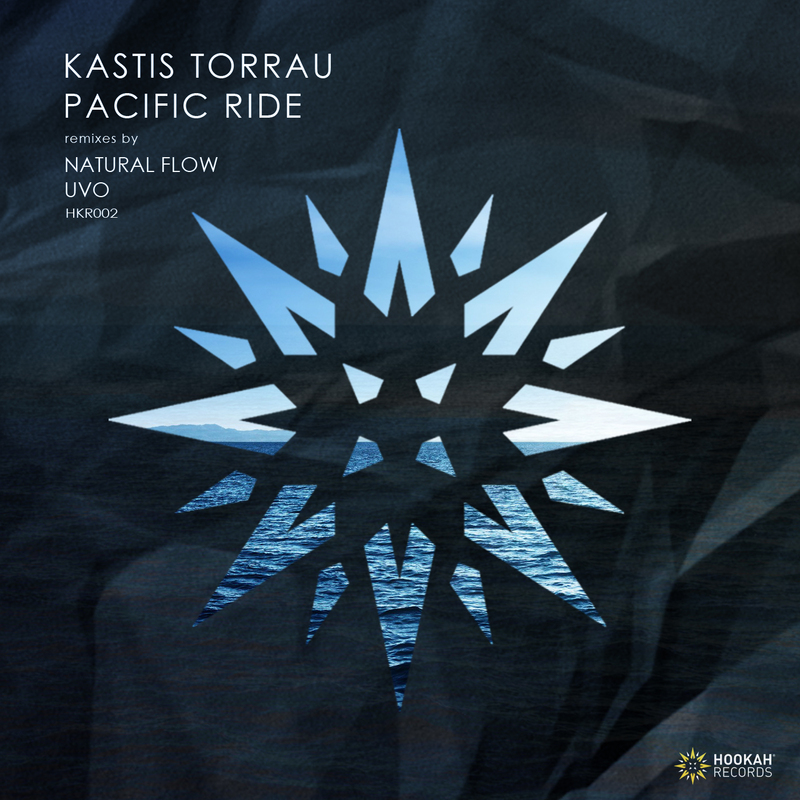 Now for Hookah’s second release we find the label presenting Kastis Torrau’s much anticipated debut single ‘Pacific Ride’ alongside remixes from Uvo and Natural Flow. Lithuanian artist Kastis Tarrau hardly needs an introduction to electronic music fans. His pristinely polished productions have been appearing in the sets of world class DJ’s like Sasha and Nick Warren for well over five years now. Working closing with the Click Records crew, Kastis ended 2015 with his third release on the label and got the new year off to a great start by remixing Stas Drive for Movement Recordings, a project which was #1 in Beatport’s Progressive House releases. His latest, ‘Pacific Ride’ looks sets for a similar fate with its crunchy grooves and ethereal vocal elements. Anchored by pulsating bass tones and rugged synths, it doesn’t take long for the Lithuanian’s keen dance floor sensibility to grab a hold of you. There’s always an electric vibe about Kastis’ productions and this has that in excess as well. As fiery stabs pierce the atmosphere the vocals add an air of mystery before the piece transitions through a melancholic second act. Warm bass swells add that extra emotive touch, just before the kick drops and the electric groove takes you home. Another massive tune from Kastis and one you’ll be hearing a lot in the coming months. The first interpretation of ‘Pacific Ride’ is provided by Natural Flow who are making their first appearance on Hookah Records. Hailing from Mexico and Argentina respectively, Hugo Ibarra and Antu Coimbra make up the Natural Flow production duo. Still in the infancy of their project, the pair have already signed music to Ardor, Off Recordings, Sudbeat and Plattenbank, so 2016 certainly holds much promise. Tale Of Us, Agents of Time and Fur Coat have been some of the first to support Natural Flow’s contemporary sound and their ‘Pacific Ride’ interpretation does not disappoint. Beginning with a dubby groove and mystical atmospheres, the duo slowly begin to unleash a storyboard of fresh designs. Unpredictable and wonderfully wonky, it’s a journey that plays out over 8 minutes, filled with drama, tension and intrigue, all peaking around the six minute mark with an all out sensory assault. It’s a sound that everyone’s chasing at the moment and Natural Flow have certainly done it amazingly well here. Stunning remix and my fave on the release as well. The second and final interpretation of ‘Pacific Ride’ is provided by Uvo who is also making his label debut here. The Intemporal label boss has already made his mark on 2016. A remix for Madloch’s Sound Avenue imprint in early January found the Mexican producer presenting a new found twist on progressive music. His moody take on Yunta’s ‘Revolution’ came with a techno state of mind and he continues that unpredictable path with a deeper interpretation of ‘Pacific Ride’. It’s warm, pulsating groove and dubby tones seems ideally suited to late night play and the way Uvo makes use of the vocal elements is quite lovely. It’s an effortless sounding production with a smooth hypnotic drawl, so it sits perfectly next to the previous versions here and also closes the release out really strong. Another winner from Hookah Records who look to be one of 2016’s most promising labels as the year moves forward. Highly Recommended.